Again with the Superheroes?! A friendly, Well-Intentioned Rant. I suspect I got asked to do this because my new circle of writer friends (I’m fairly new to telling stories with words only) know a few things about me: I have a Master’s degree in comic books (MFA in Sequential art, technically), and that I’ve painted, written, and self-published a handful of comics. But this promotion doesn’t have anything to do with comics! It’s about a superhero novel! Why does the subject of superheroes always get paired with comics? And why do comics so often get paired with superheroes? Let me say right here and now I have nothing against superheroes or superhero comics. I’ve read more than a handful that I really liked, from Marvel and DC and more. I love the recent proliferation of comics-based movies and TV shows. And I love that so much superhero fiction is popping up as novels and not just as comics. But it tends to get up my nose how so many people automatically equate comics with superheroes, and vice-versa. Why? Because my entrance into comics came from two different angles at two distinctly different times, with neither one of them having anything to do with superheroes. The first wave hit when I was 13 years old, or thereabouts. 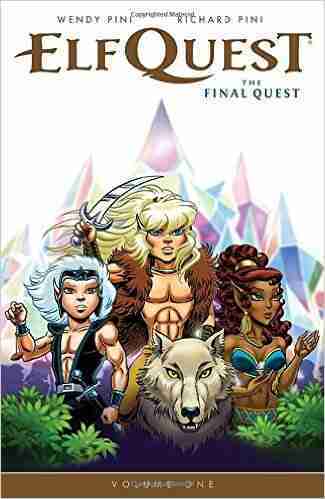 My older brother bought me the ElfQuest collection, an amazing effort of self-publishing in the days long before print-on-demand and promoting through the internet. I practically devoured the things, reading them over and over. And over the next few years, many of my sketchbooks frequently featured ElfQuest-style elves. If internet fanfic were a thing back then, who knows what might’ve happened, and how much of my life might’ve got lost down such a rabbit hole. Luckily, my enjoyment of this title remained fairly healthy, and sadly never brought me to the next step: Going into a comic book store in search of anything else like it. It would take a few more years before comics as a thing would get some hooks into me. Fast-forward five or so years, and I’m in college. Something has happened in comics. Some things actually. Some things that another ten or fifteen years later, I’d write about in my thesis for that MFA. One of these things is this: The cost of paper, ink, and the printing process became cheap enough that comics could be printed on higher quality paper. This higher quality paper could withstand larger amounts of ink and preserve a higher level of detail. With this, people started to paint comics. Well, actually they’d started to paint them some years before, in 1983 (Scott Hampton on Silverheels), and painted covers reach way back. But it still took a few more years for painted interiors to be relatively common in comics. This technical development allowed for a wider range of artistic styles. The art could now better reflect darker themes, more dramatic expressions, and more passionate emotions. And that’s the stuff that caught my eye. I was working on a BFA in Illustration at the time. Along the way, I forged a strong and lifelong friendship with watercolors, and also with a bunch of nerds like me. But unlike me, some of those nerds were already comic book fans, and had been for a while. And so I started to read some of their comics. Much of it was mainstream and superhero, good stories for sure. But they still lacked an addictive “must read and re-read” quality for me. Then I got my hands on some painted stuff. I’m not sure which painted title showed up first. But the earliest offerings I can remember featured Moonshadow, The Books of Magic (the original 4-part series), Arkham Asylum, and Elektra: Assassin. You might note that two of these do in fact feature superheroes, but even these were more than superhero stories. They brought to the table far more satisfying superhero stories; darker, weirder, and creepier than comics had so far managed to offer – to me, at least. More painted comics showed up on the scene, and most of them showed up in watercolors – Probably because they dry pretty darn fast, the colors scan well, and printing can reproduce them fairly accurately. So they spoke to me on that level. The paint served as bait, but that wasn’t what kept me there. It wasn’t what drove me to comic book stores every Wednesday for the next twenty years or so. It was some of the stuff that ran alongside the painted stuff. The Sandman. 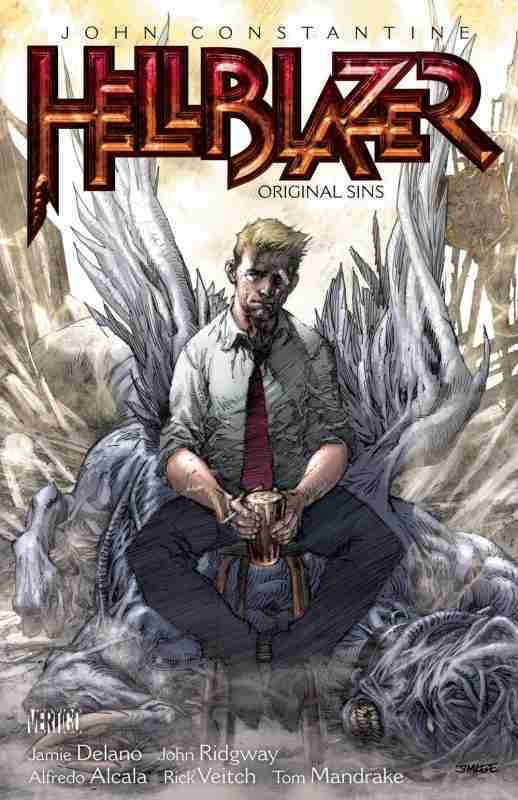 Hellblazer (John Constantine). The Books of Magic. Preacher. Transmetropolitan. Lucifer. Lots more. I did not read EVERY Vertigo title, nor did every title I read come from the Vertigo line. But there’s probably a solid 75% overlap between the two, and very little overlap with the superhero set. I love the idea of the anti-hero; the poor role-model as hero or main character. I love the morally ambiguous gray areas, surrealistic twists and turns, and stories that end messily, if they end at all. So, I’ve spent about half my life up to my eyeballs in comics, but not so much with the superhero stuff. I’ve got maybe eight long-boxes worth of comic-y goodness. I drifted away as DC started to smoosh their universe and stuck Constantine in with the Justice League. I didn’t need that peanut butter in this chocolate, thanks. So, please, stop and ask yourself. Do comics have to mean superheroes? Do superheroes always have to connect to comics? Because I’m a nerd here who’s had kind of a lot invested in one, with precious little of the other. Superheroes are awesome, regardless, so go buy Remy’s awesome new book! Angi Shearstone is an award-winning professional artist with a small herd of cats, undeniable geek tendencies and a great love for ska-core & punk rock. She’s worked with Scott Hampton comics on Batman: Gotham County Line and Simon Dark, and with Jeremy Whitley on Princeless: Tales of Girls who Rock. She also collaborated with Mur Lafferty in Beyond the Storm: Shadows of the Big Easy, and otherwise has self-published a handful of comic book projects, two of which with Joe Sutliff Sanders. Right now she focuses on turning her partly-published vampire comic BloodDreams into a series of books.